I am still doing spring cleaning and some furniture makeover. I have taken an interest in distress furniture, which is taking something new and making it look old. The same can be done with some old furniture you might have stored around the house, but I will get into more details later. This is why I haven't had much time for posting new articles on my websites. However, today I want to share an easy shrimp and pasta meal with you that I and my husband, Stan, really enjoyed and hope you enjoy as well. The meal consist of two recipes my Shrimp And Imitation Crab Meat Salad recipe, and my Knorr Herb & Butter Chilled Pasta recipe. This is a very simple recipe because to make it you only need to add a few ingredients. While shrimp and crab meat are defrosting , mix all the other ingredients until well blended. Stir in shrimp and crab meat. Mix well. Serve shrimp and crab meat salad on bed of Romaine lettuce surrounded by some of the Knorr Herb & Butter Chilled Pasta salad and orange slices. Crackers would be nice also. I can go on and on about the pros and cons about some of the hair products used to attach front lace wigs and some hair extensions. However, the main product that I find most harmful to the scalp is hair glue. 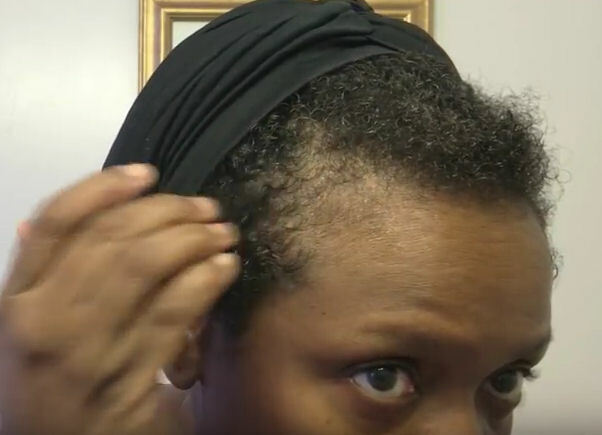 It doesn't matter what brand of hair glue you try, after prolong use they all end up leaving you with bald spots and inflamed and irritated scalps. The video below is by Désirée. In it described her recent hair loss after use a hair glue and how she is combating it.